An organizational chart is a visual representation of the hierarchical structure of an organization. 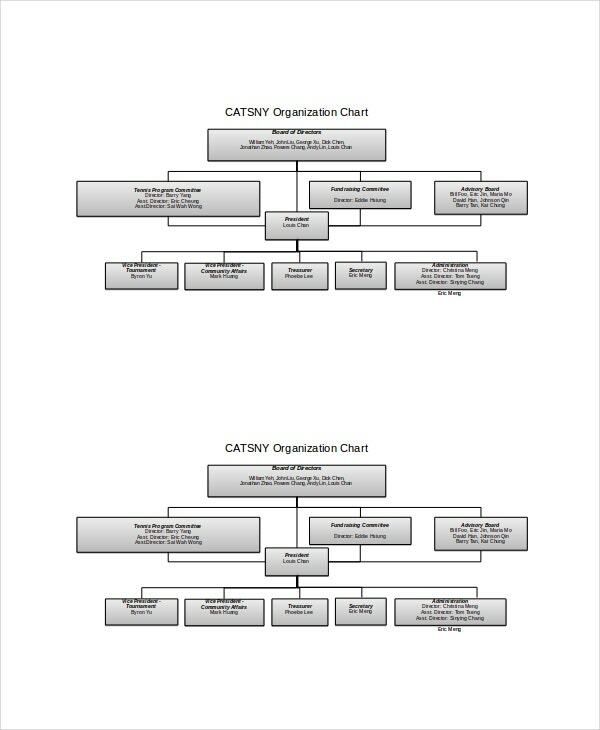 It shows relationships between different functions and roles, brings clarity about who reports to whom, and shows the chain of command. Despite its importance, it is not easy to quickly draw a good organizational chart. Here are few top excel organizational chart templates to make your life easier. Just download them and get a flying start for making your organizational Chart Templates. This organizational excel flowchart template provides two easy to use toolbars to help in making flowcharts. The template also includes one reference example of a flowchart showing all elements. 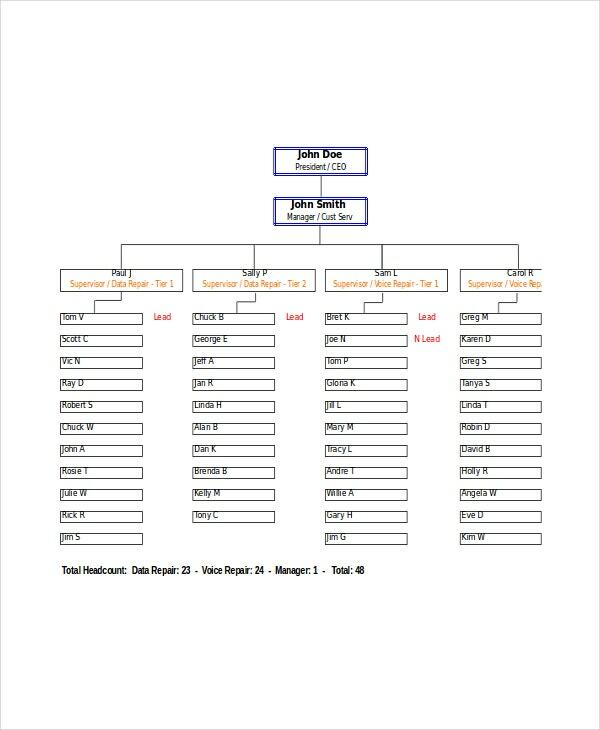 This template gives an easy to modify and re-use complete organizational chart example. It covers everyone right from the CEO, until the last person in the hierarchy of the organization. This template has readymade samples for several types of organization charts. The most striking are the three sample templates for organization charts for schools. This template is very simple looking. It doesn’t have colors and too many types of boxes or connectors or other shapes. This makes it extremely easy and fast to use. 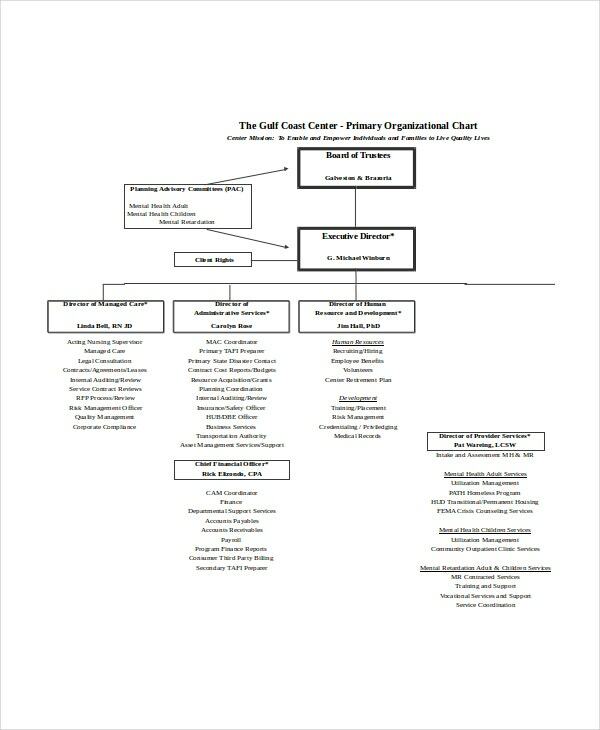 As a reference, this template offers a complete organizational chart of a child care or early education provider organization. The user can easily plug-in his details to get his organizational chart. 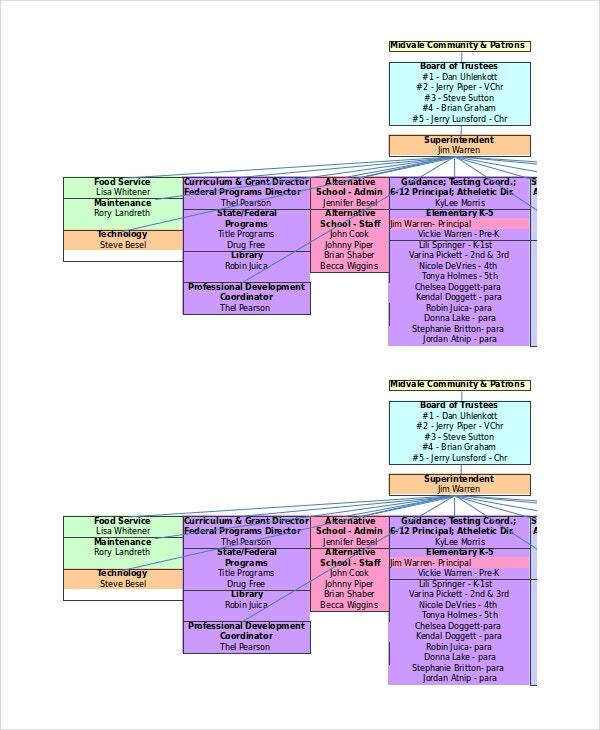 > Why use Excel Organizational Chart Templates? An organizational chart is a visual representation of an organization. It brings clarity both internally and externally. As organizations are becoming more complex, the drawing of an organizational chart is becoming more tedious. There are several ways to go about it, ranging from making power points to drawing it with specially purchased software. Every method has its own advantages and disadvantages. The easiest to use method among all these is to use excel organizational Blood Pressure Chart Templates. These templates are available for different types of organizations; therefore it is just a matter of finding the right template that suits your organization. > Who would Benefit from Organizational Chart Templates? Anyone who wants to know how an organization is working can benefit from a good organizational chart template. The management can use a good organizational template to visually organize their companies for maximum efficiency and productivity. 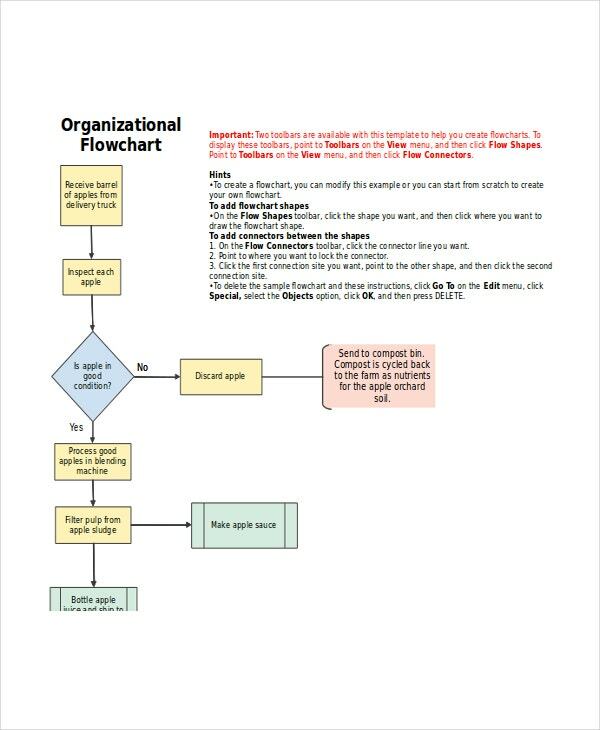 Employees can use these templates and draw the organization chart to understand how their work contributes to the overall organizational goals. People from other departments can use such charts to know whom to approach. Several types of external people such as media, or customers, etc., can use such templates to find the right person to approach in the company for the purpose at hand. You may also see Reflexology Chart Templates. > Benefits of the Organizational Chart Templates? 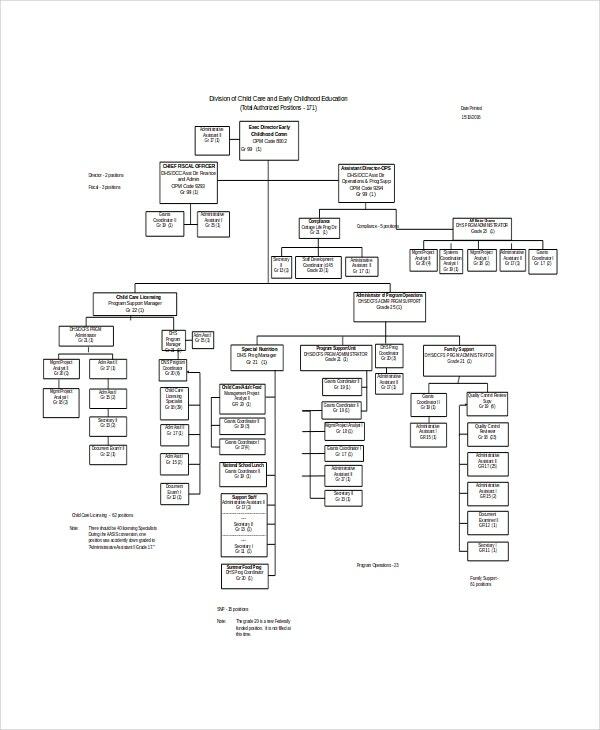 A fuzzy organizational chart with lots crisscrossing lines or too many connectors ending in a particular box may signal organizational inefficiencies. Leadership teams can therefore use these templates to design organizational charts for maximum efficiency and productivity. Suppliers can use these templates to study power structure in an organization, and then plan the right strategy and tactics to get business from them. Employees can understand how their work contributes to overall organizations goals and vision, leading to more employee satisfaction. It makes it easy to find people in a company, or to find next person if someone is unavailable. You may also see Medication Chart Templates. Organizational chart templates offer a quick and easy way to create complex organizational charts which are useful for several purposes to different stakeholders, inside or outside of the organization. 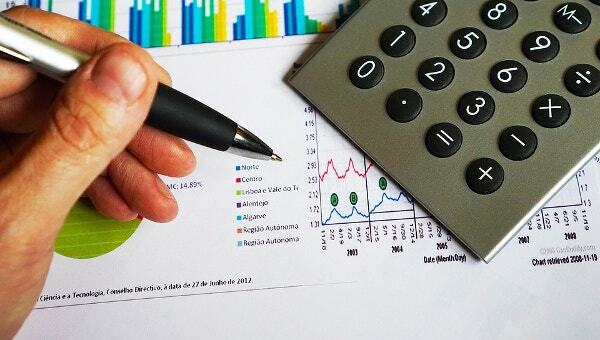 Such templates make our life easier by combining the powerful drawing tools found in power point with the versatility of excel spreadsheets.